A woman in a coma for over 10 years has just given birth - sparking a police probe into a possible s-xual assault. Authorities in Arizona have launched a s-xual abuse investigation as they try to establish who fathered the child. The woman is not being identified because of the possibility she may have been s-xually assaulted. AZ Family reports she has been in a vegetative state since nearly drowning 14 years ago. The news channel said she has just last month given birth to a baby. 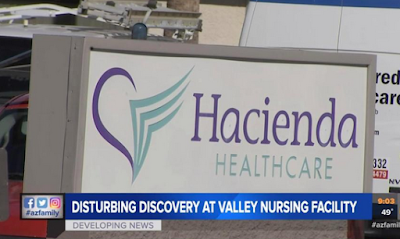 That has prompted a s-x abuse investigation at the Phoenix-area nursing facility. They said the baby was born on December 29 and is doing well. A source familiar with the situation told the website that "none of the staff were aware that she was pregnant until she was pretty much giving birth." And the source went on: “From what I’ve been told she was moaning. And they didn’t know what was wrong with her." As the new mother needed constant round the clock care, many people have regular access to her room but it is alleged protocols have been changed since the birth. Now male staff needing to enter female rooms must be accompanied by a female employee, the source said. Hacienda HealthCare is not commenting beyond a routine statement.